FOX effectively changed the cinematic superhero game earlier this year when they allowed Ryan Reynolds and Tim Miller to bring iconic anti-hero Wade Wilson to life on the silver screen. Deadpool has become an absolute sensation, leading fans to immediately clamor for even more feature length adventures. Well, comic book fans, ask and you shall receive. In what would classify as the least surprising news of the day, we’ve just learned that FOX has officially confirmed Deadpool 2. The announcement comes to us straight from CinemaCon in Las Vegas. FOX officially announced that the studio has begun to move forward with Deadpool 2, and that they have brought Ryan Reynolds back to provide the sarcastic wit for the Merc with the Mouth. In addition to Reynolds, FOX revealed that they’re getting the entire band back together by enlisting the directing talents of Tim Miller as well as screenwriters Rhett Reese and Paul Wernick. They always say that if it isn’t broke then don’t fix it, so FOX has no intention of changing up the creative team behind one of their best movies in years. Smart move. The fact that FOX has just announced a sequel to Deadpool should come as a surprise to absolutely no one. Unless you’ve actively avoided any and all news related to the recent R-rated comic book revelation, you probably already know that Deadpool has become a complete phenomenon, as well as the highest grossing R-rated movie of all time. However, this announcement provides concrete confirmation to something we already had assumed would happen anyway. Now that we officially know for sure that a Deadpool sequel will move forward at FOX, it leads us to speculate on other details about the movie. These range from whether or not Deadpool's beloved Vanessa will eventually become the villainous Copycat, to the possibility that Ed Skrein’s Ajax might not be quite as dead as we think. However, the one aspect of the movie that has us most intrigued is the potential role that the fan favorite time travelling mutant Cable might play. 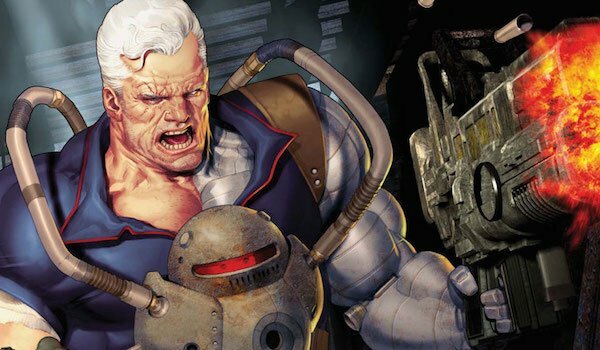 Fans have been titillated about the possibility that Cable would show up ever since Wade Wilson teased his (or her) arrival during the credits of Deadpool, but very little information has come forward regarding how the icon will factor into the plot. Now that we know for certain that we will get a Deadpool 2, perhaps Cable news will start to become more readily available in the very near future. Although it’s not exactly a surprise, we’re still beyond excited to know for certain that Deadpool 2 is on the way. We will bring you more news related to the project as it becomes available to us.